The perfect gift for a new neighbor! 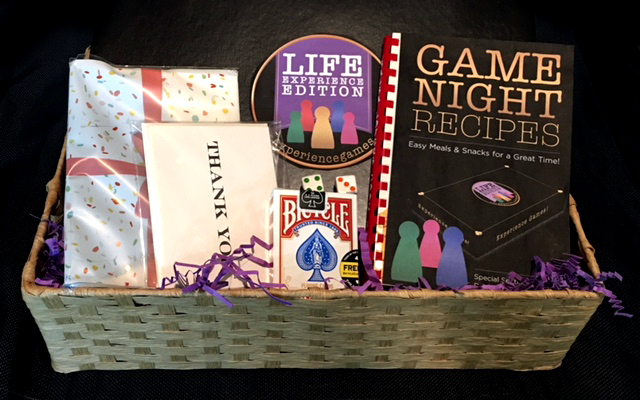 Contains the Card Game LIFE, Game Night Recipes book, deck of cards, invitations, thank you cards and more! The basket can be used as a carrying tray too.